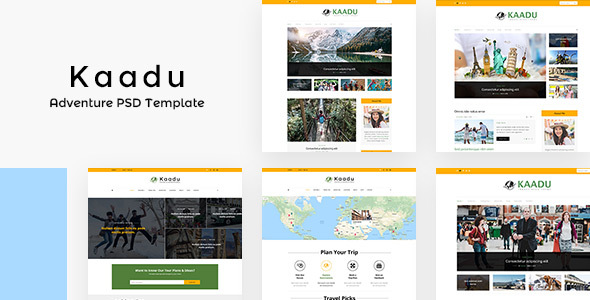 Kaadu is an enchanting and engaging blog PSD template perfect choice for writers interested to build a blog website with wonderful effects and creative features to make readers feel the joy of reading blog posts. 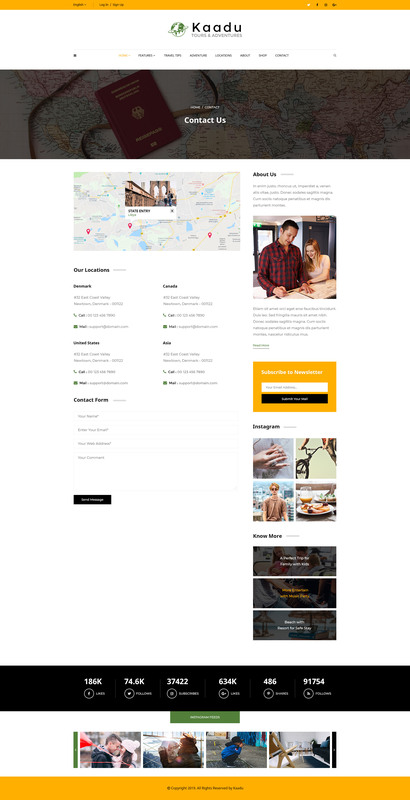 The PSD design includes a complete set of advanced sections and required pages to help you in the storytelling and empower you to display the content in a stylish manner. You can choose the best one from 5 fantastic homepage layouts to share your stories with a fabulous look to seize the viewer’s eyes at their first visit. 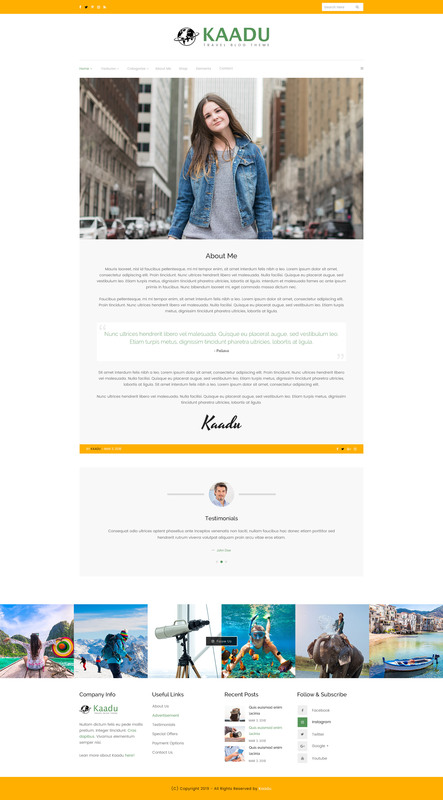 Also, this template includes detailed inner pages (about, blog detail and contact) with eye-catching typography and catchy elements. As well as, the combination of trendy colors and clear layout will make your blog look appealing and catchier than others.